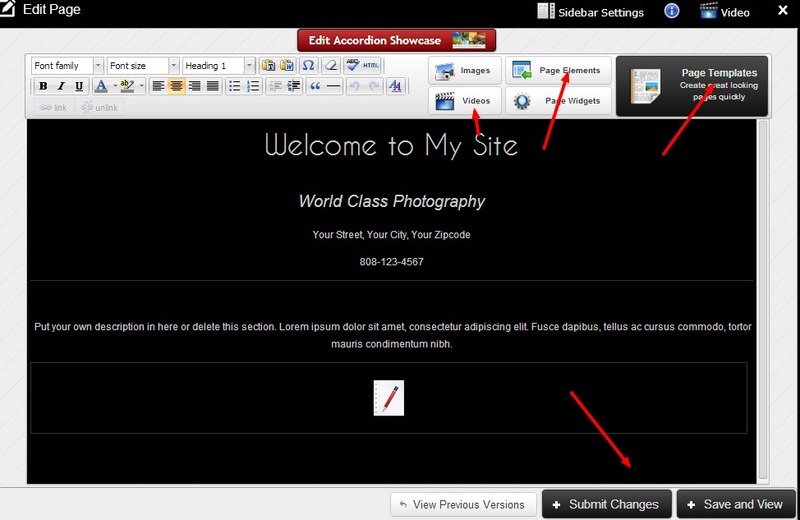 To Edit a Page that has already been created on your site, use the Page Editor, in your Real Time Website Editor. 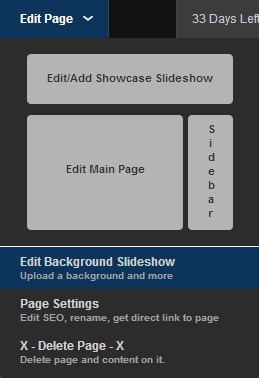 Click on ‘Edit Page’ in your Top Menu and the drop down menu will offer the following options. Use Page Templates to organize your images and text. These templates make it easy to showcase your work in an organized professional way. Click directly onto the text or image on the page to make changes to the content. Use the Toolbar to Edit Font and link text or images to a gallery, website, or file. Click ‘Submit Changes’ and ‘Save and View’ to view the edits you have made to your page.